May I Speak to You? This is an excellent book by a dear friend, Ramsey Coutta. I had the honor of editing this book. It blessed me! 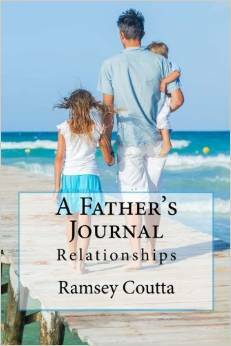 A Father’s Journal, is especially geared toward older teens and those in their early twenties. It is a father’s heart for his children. Click here to buy the book on Amazon. < Highly Recommended Reading at Prayfit!